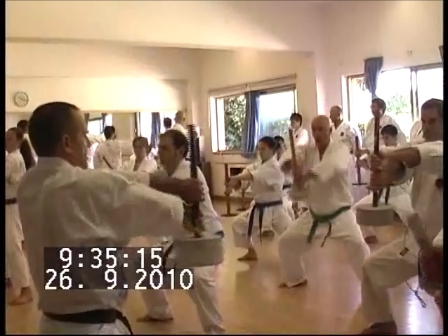 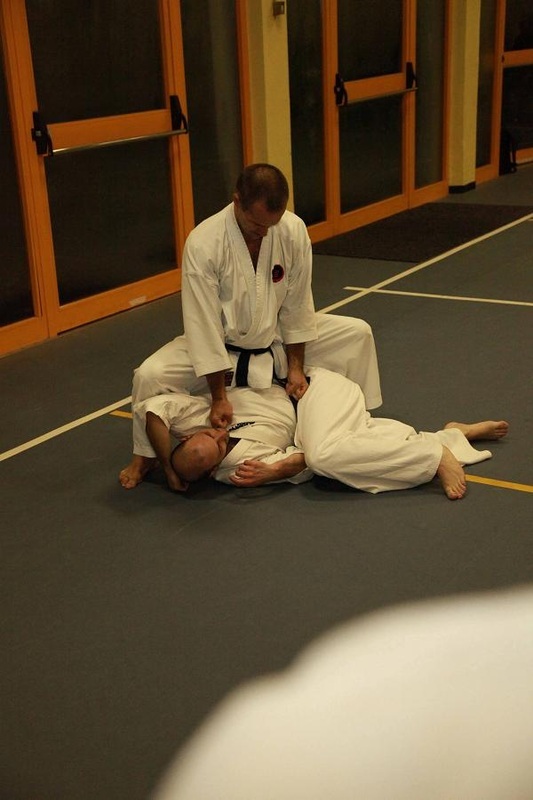 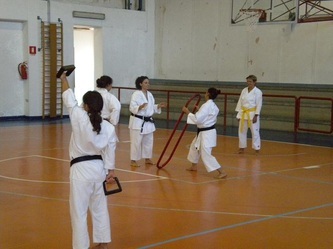 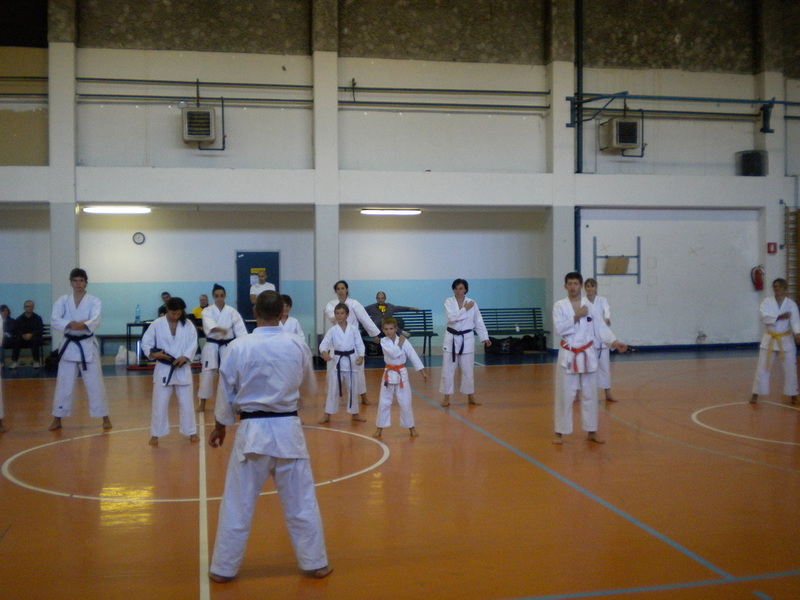 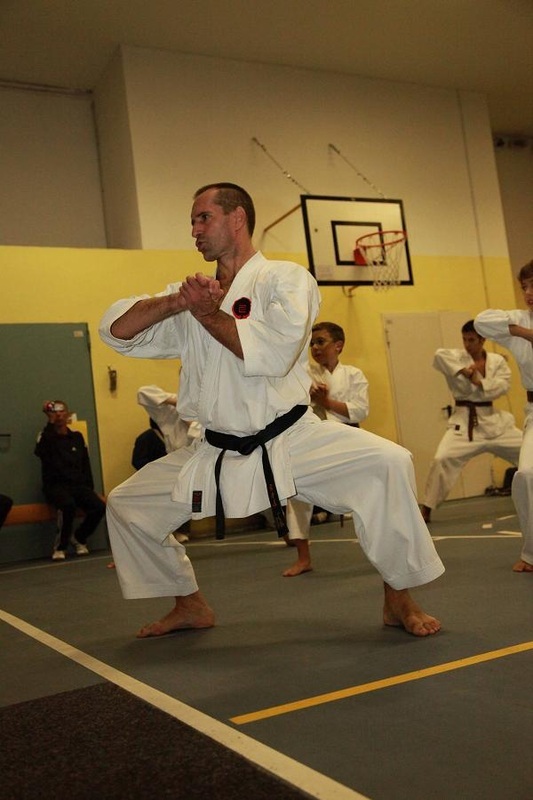 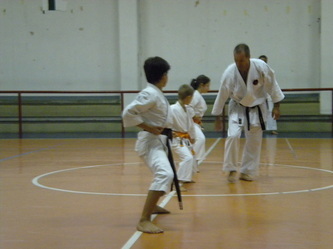 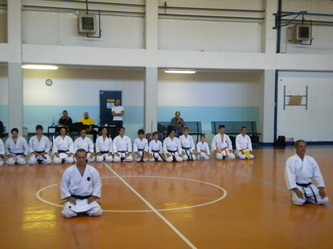 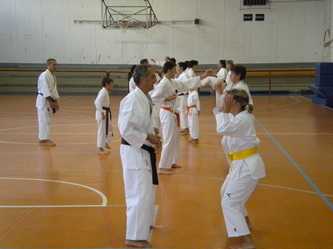 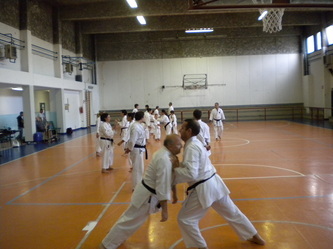 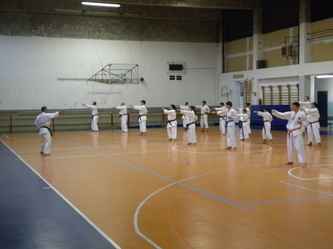 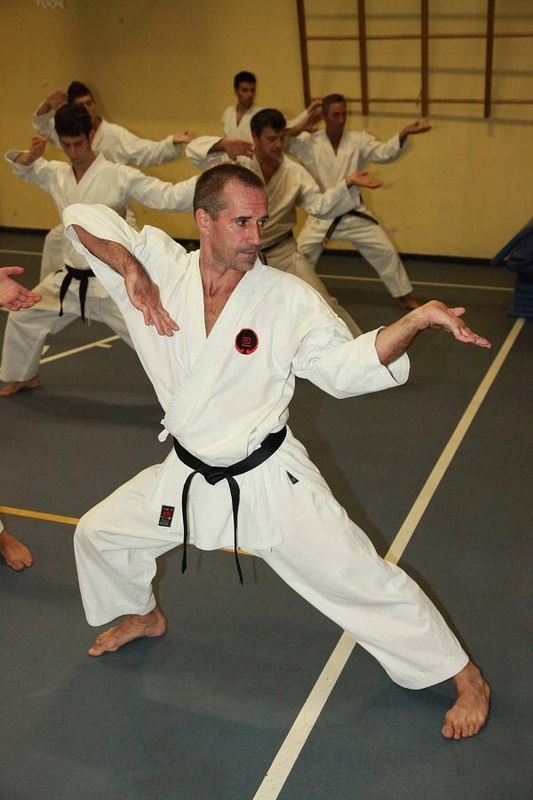 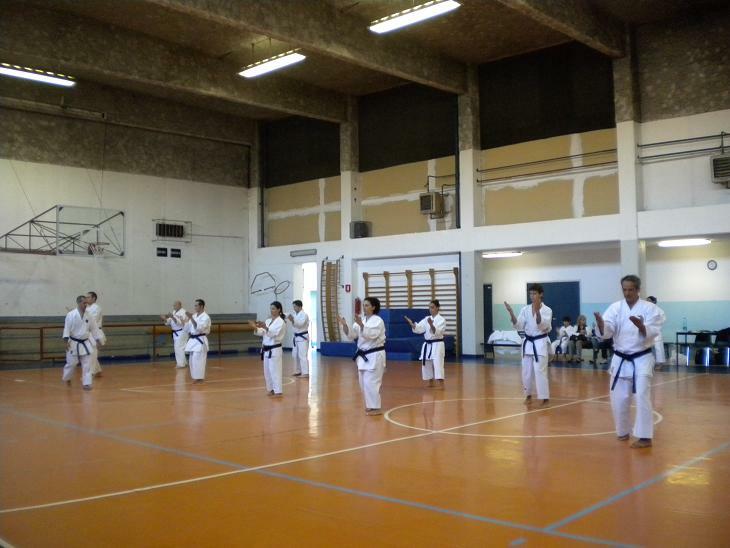 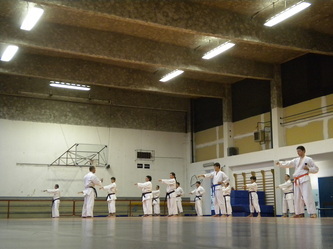 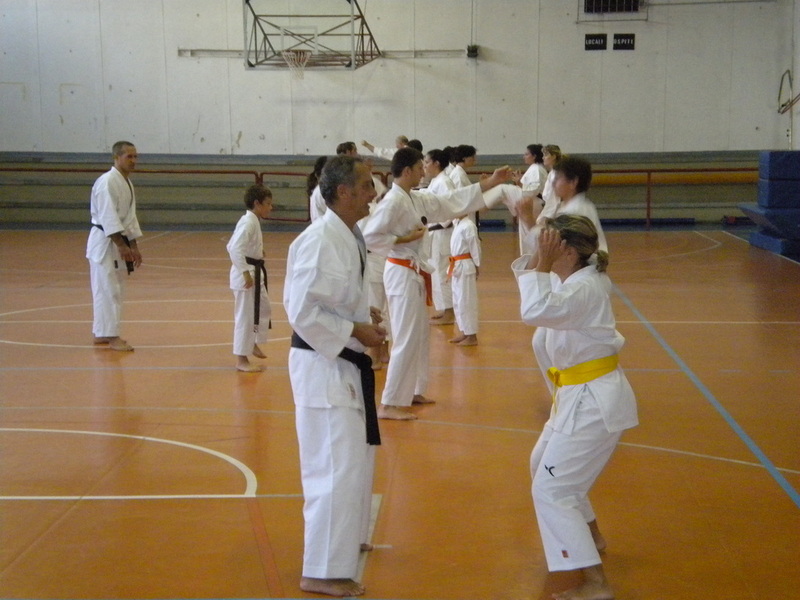 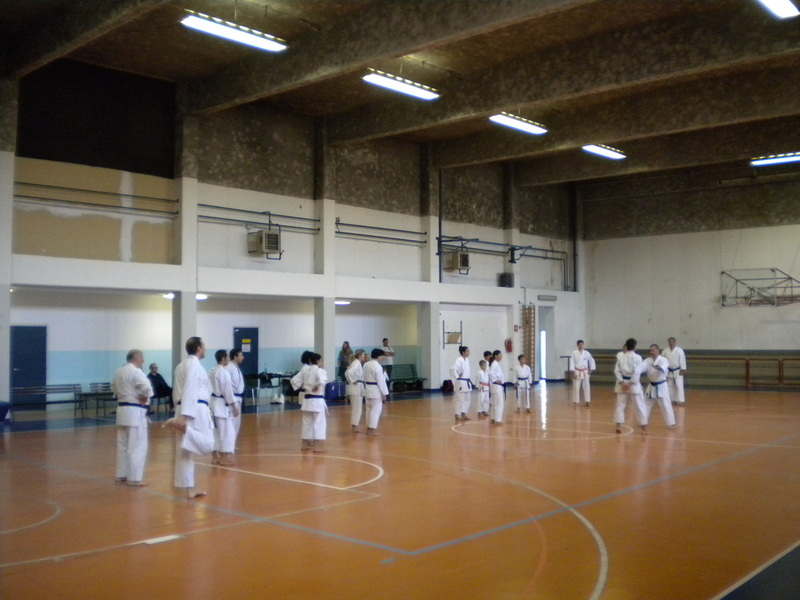 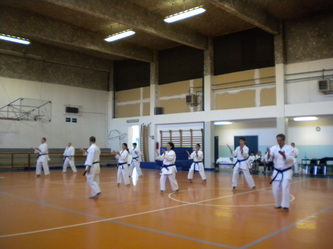 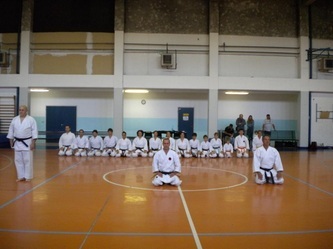 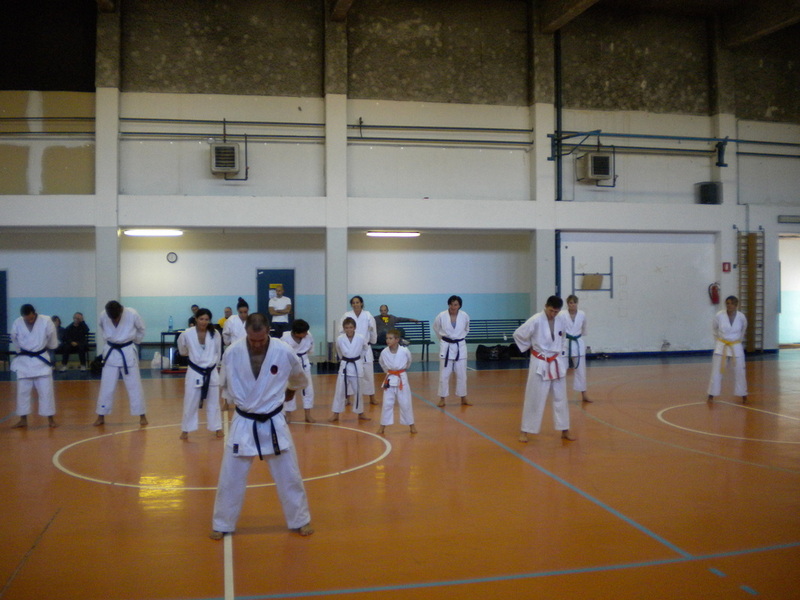 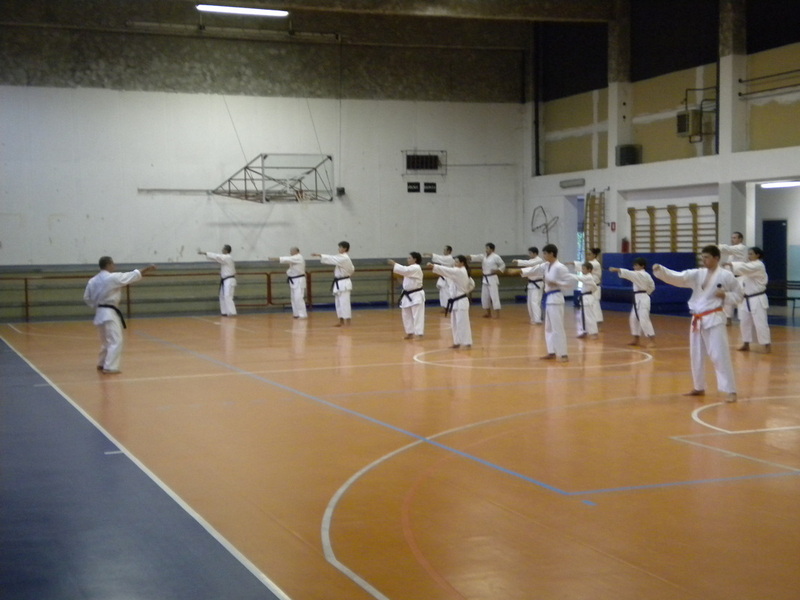 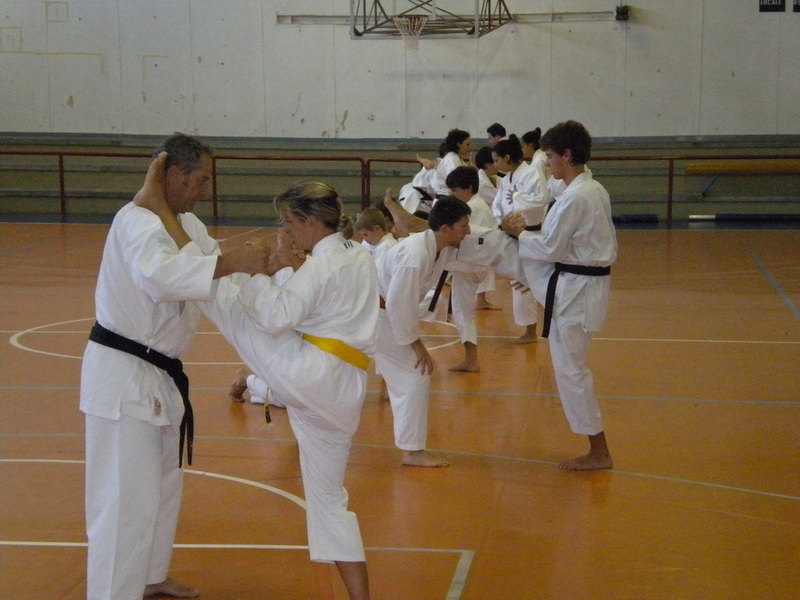 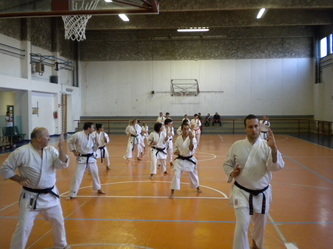 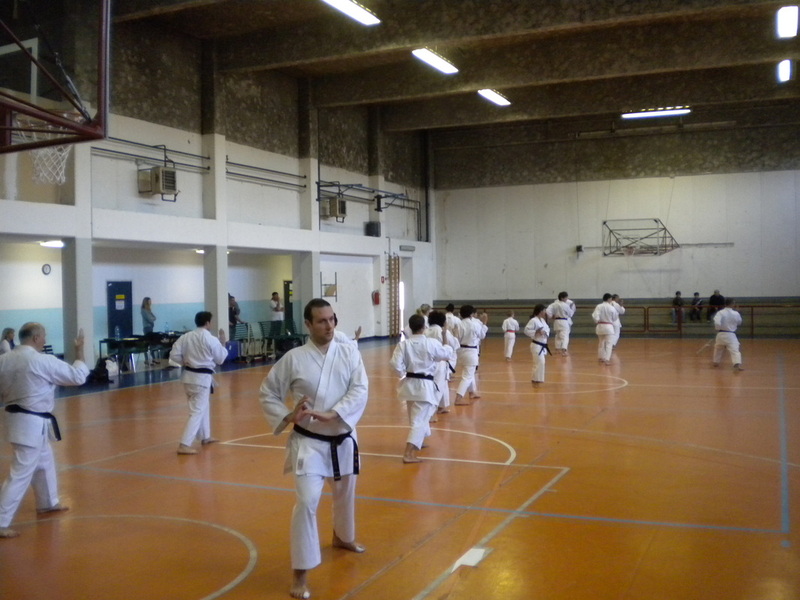 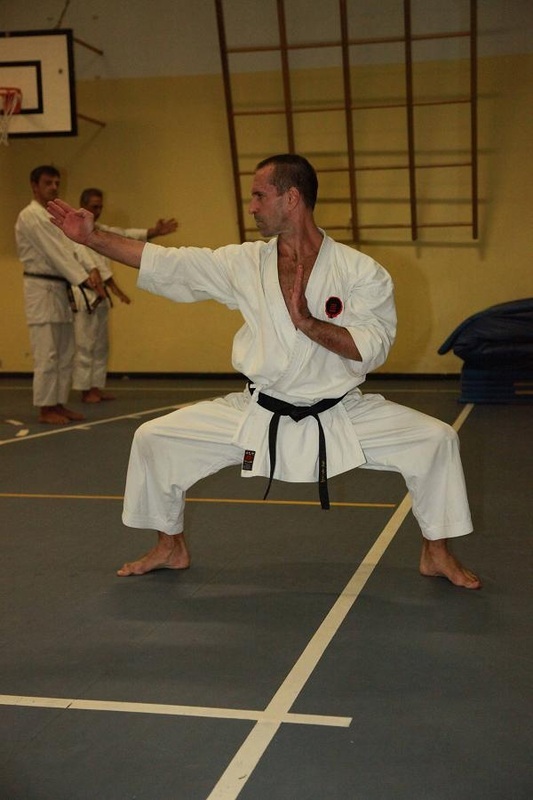 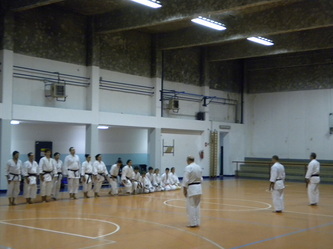 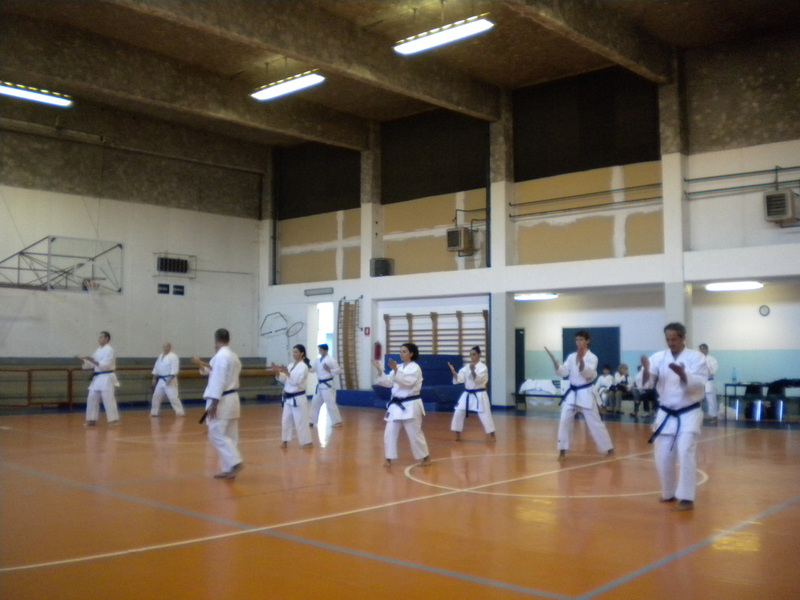 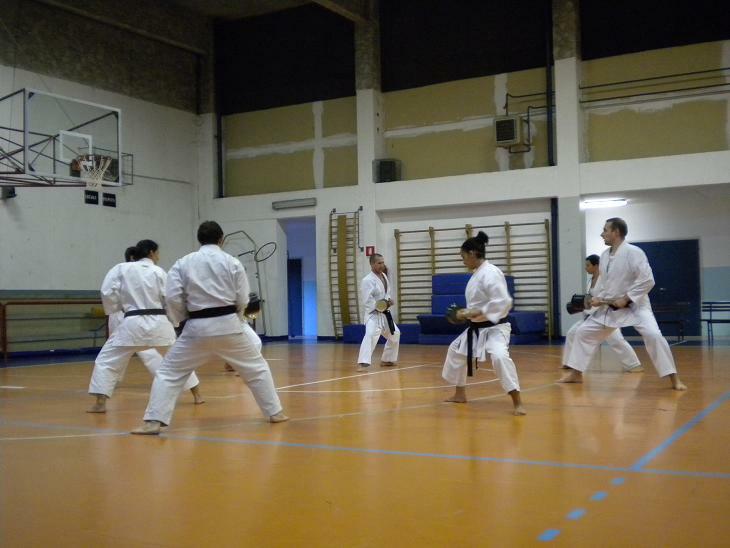 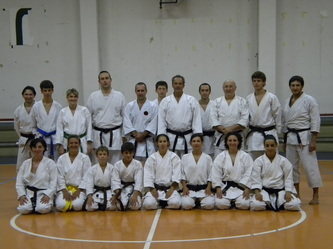 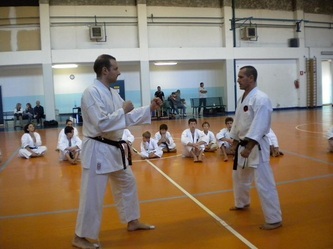 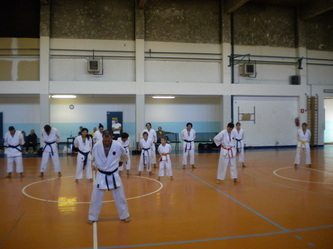 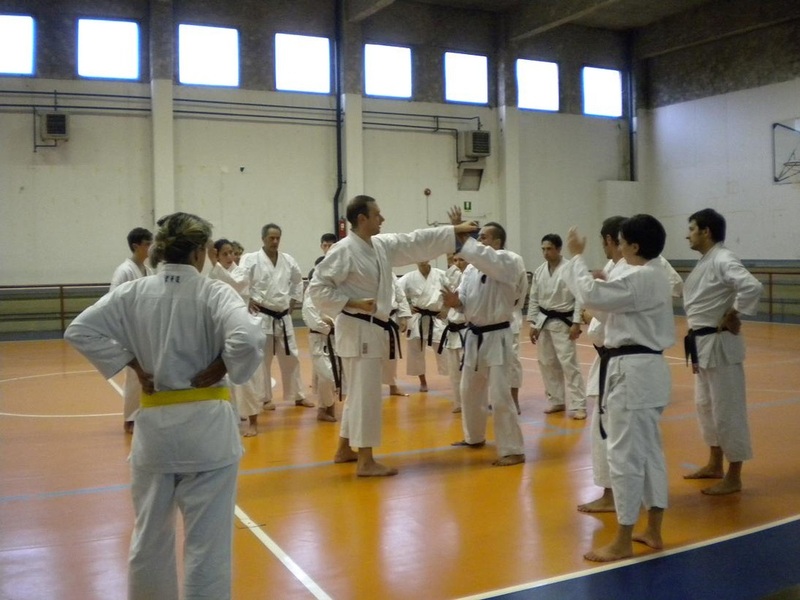 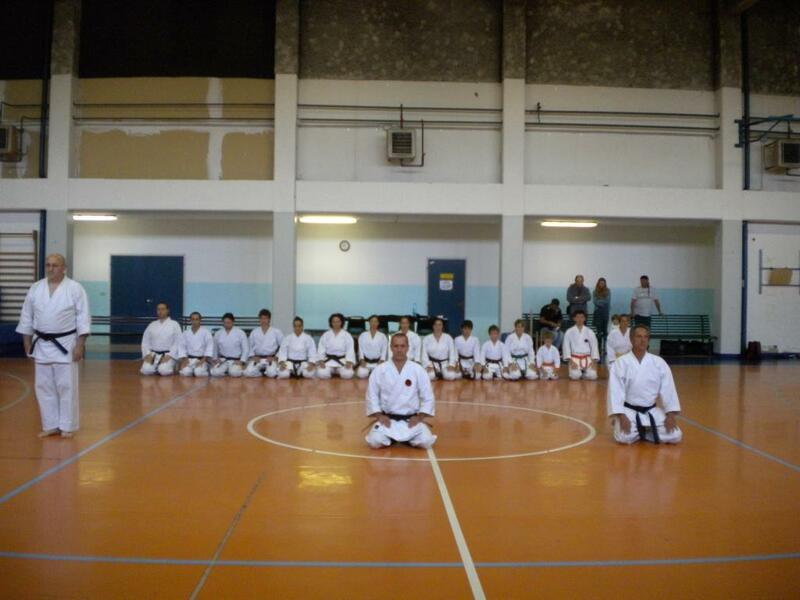 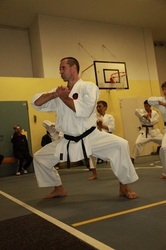 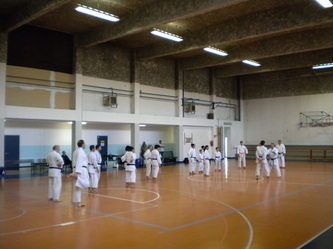 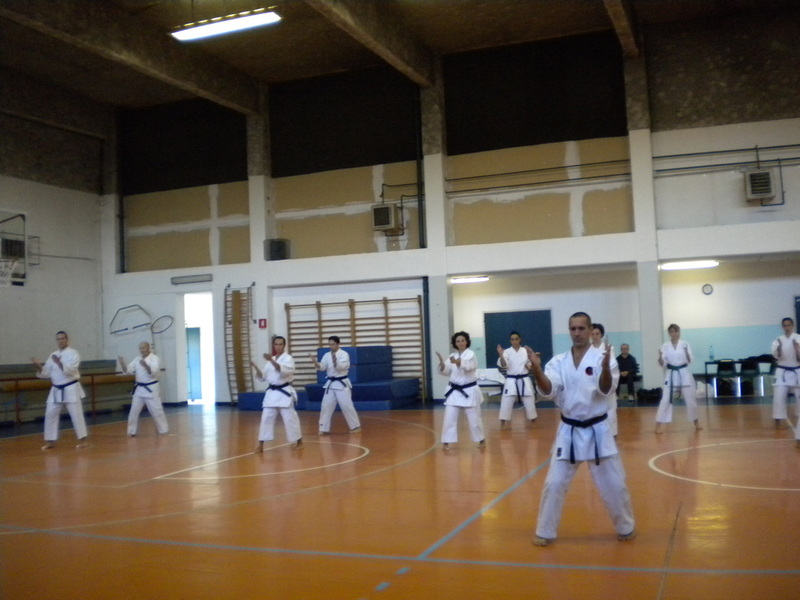 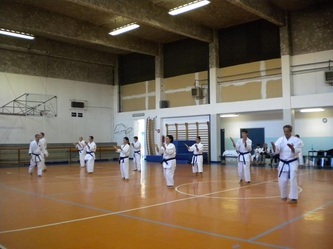 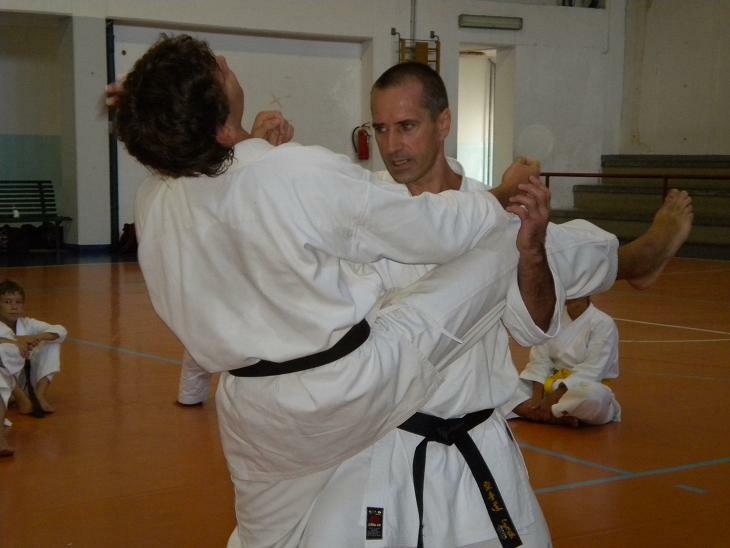 an understanding of the fundamentals of Okinawa Goju-ryu and to visit my family as well. 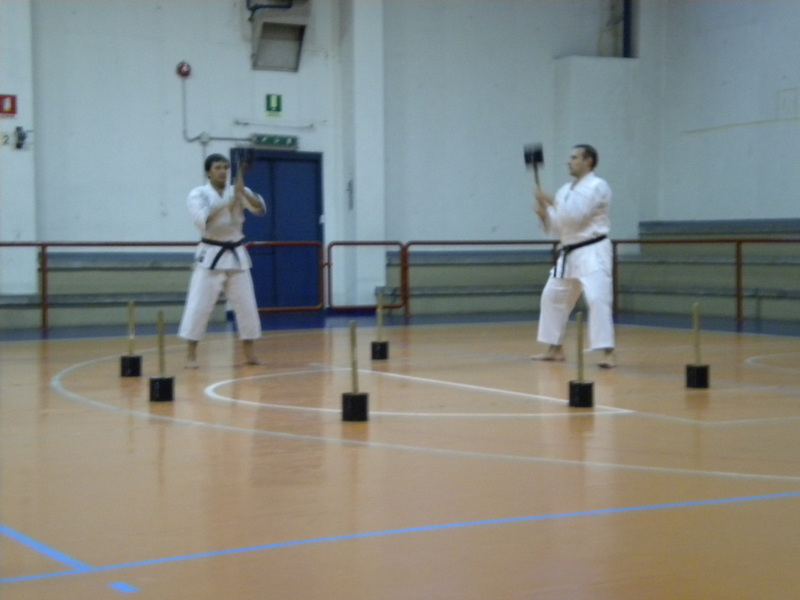 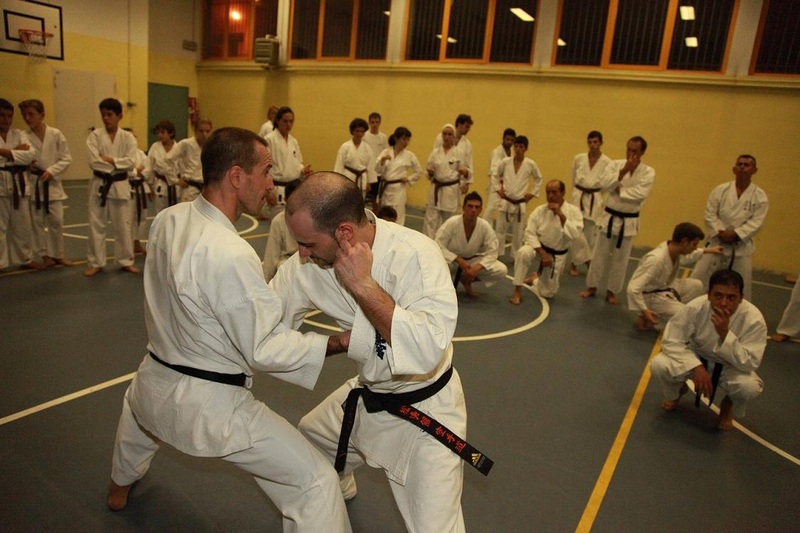 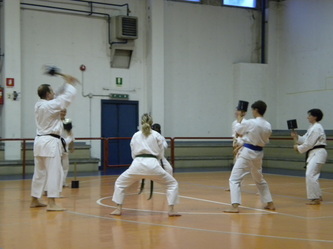 The seminars commenced in Legnano (MI) on the 18th and 19th arranged in cooperation with the Lombardy Fesik Federation, the tour then continued on the 21st to Broni (PV) with the collaboration of the Samurai Bushido and Wasi Federation, then onto Rome on the 26th, organized by IOGKF-Italy, next to Seregno (MB) on the 27th, organized by ACCS-Shotokan Karate Do in cooperation with the UN IAKS Federation, finally on the 29th to Arquata Scrivia (AL), (this was a last minute decision, having been contacted after my arrival in Italy) by the USAM karate. 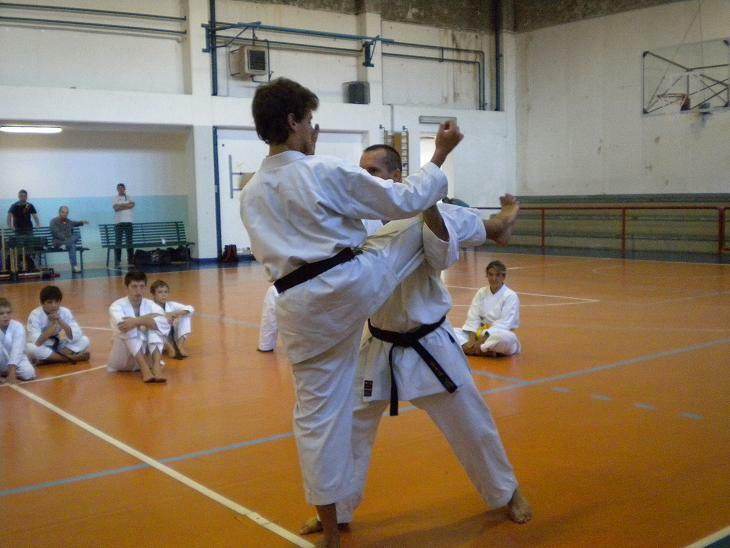 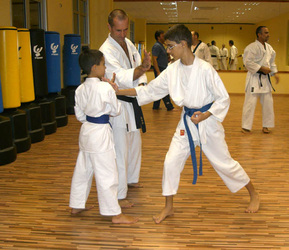 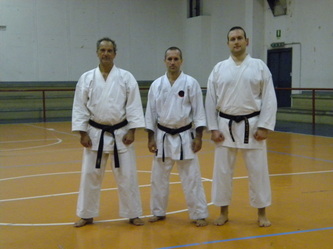 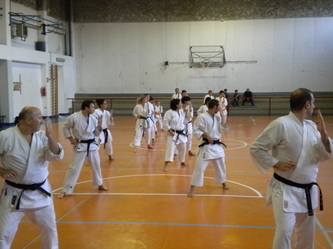 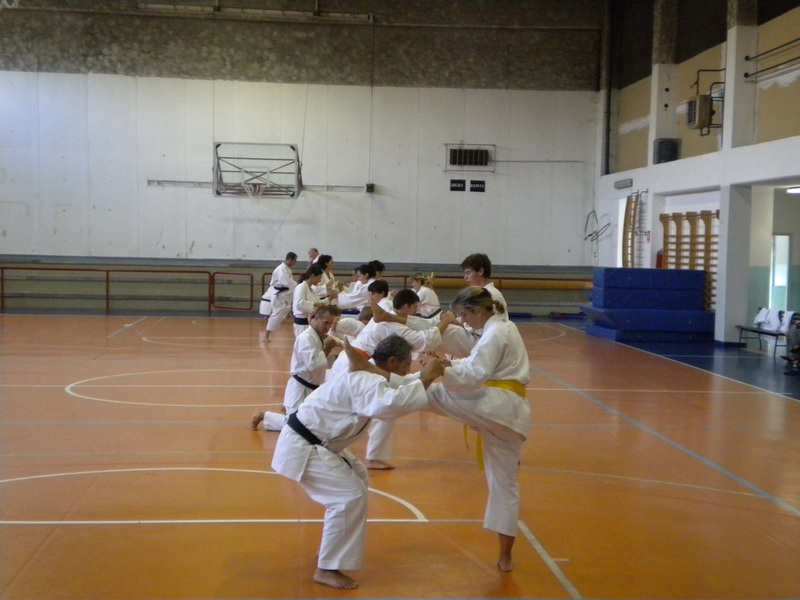 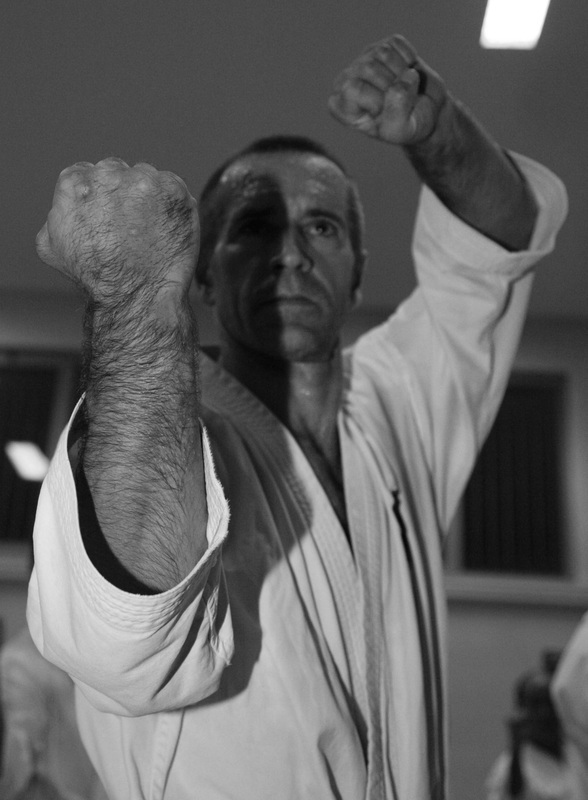 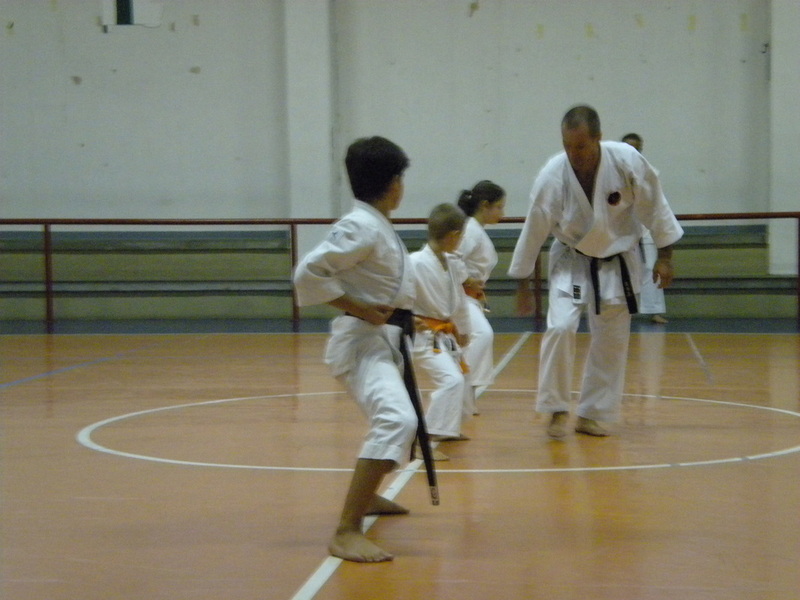 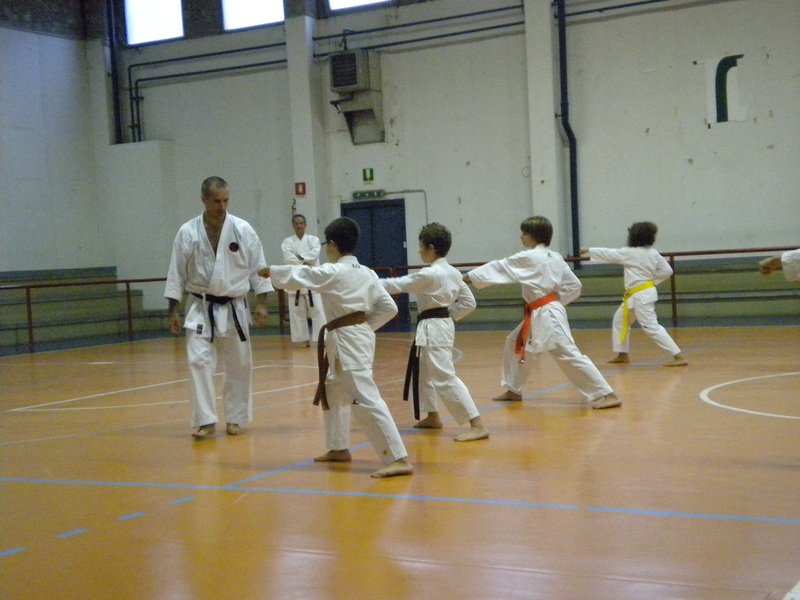 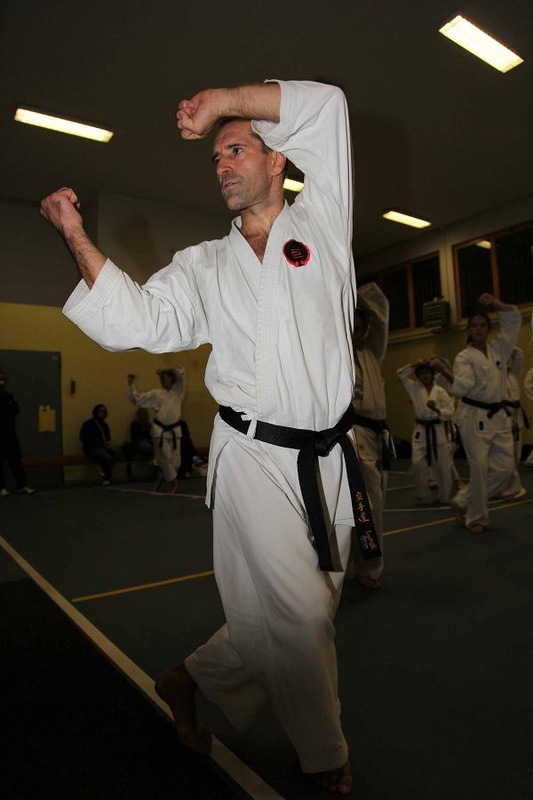 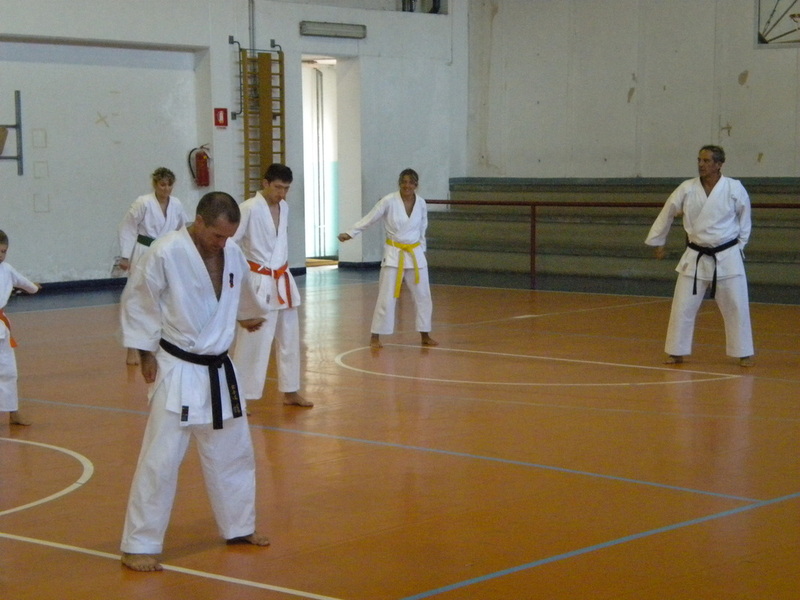 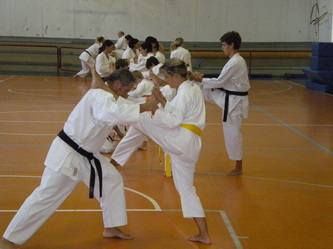 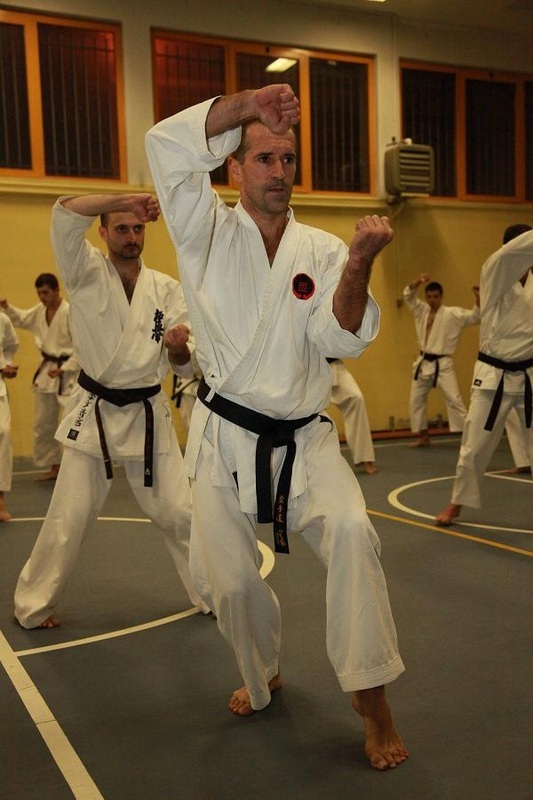 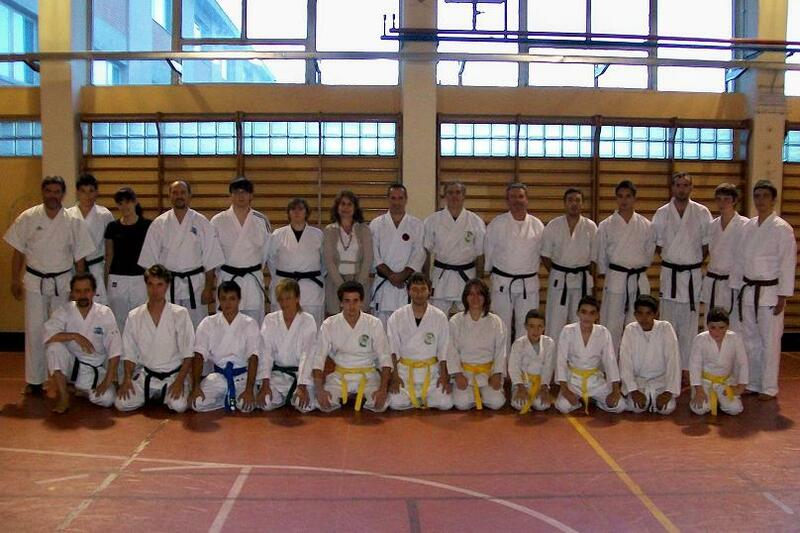 Each stage was an experience in itself, with one common denominator: a passion for karate. 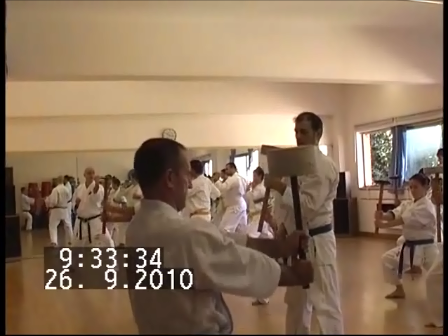 -Kakie (featuring close combat Goju-ryu) and conditioning. 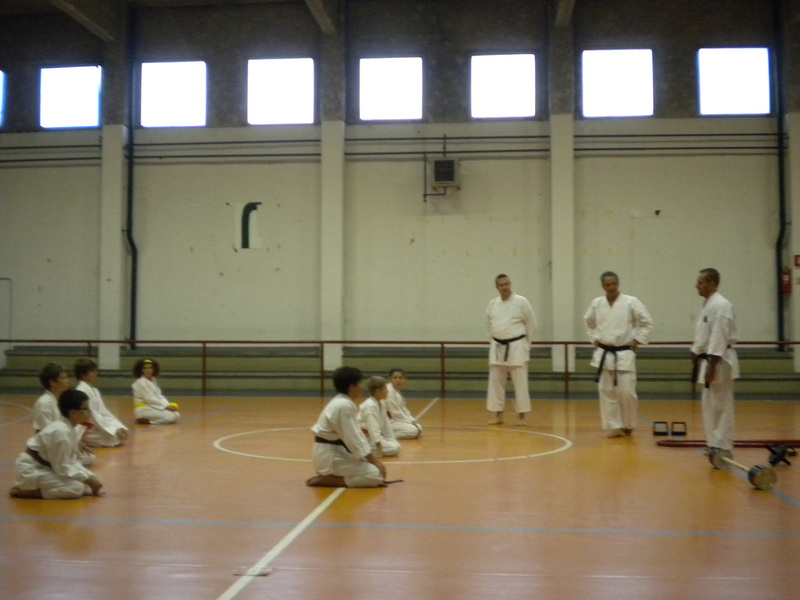 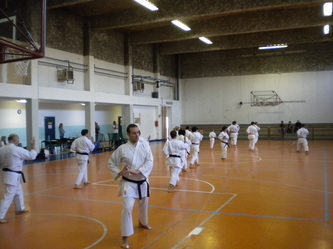 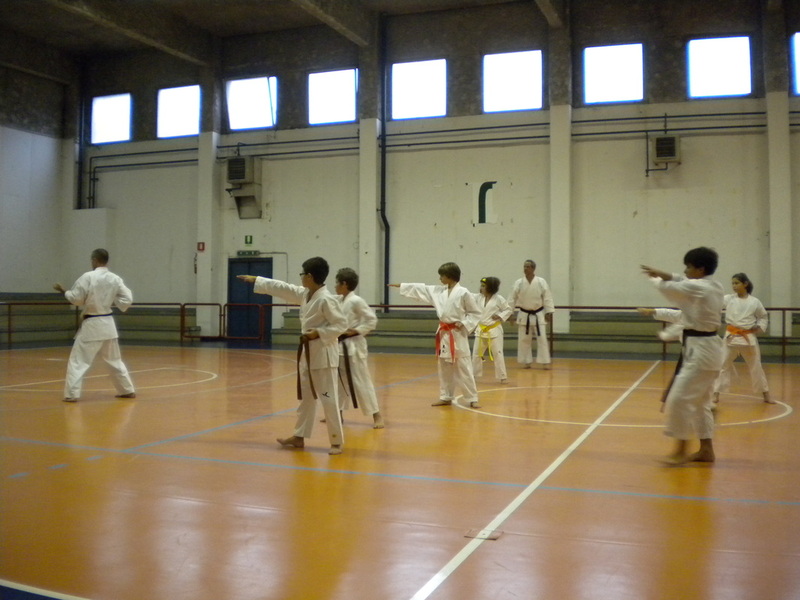 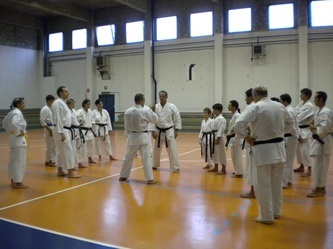 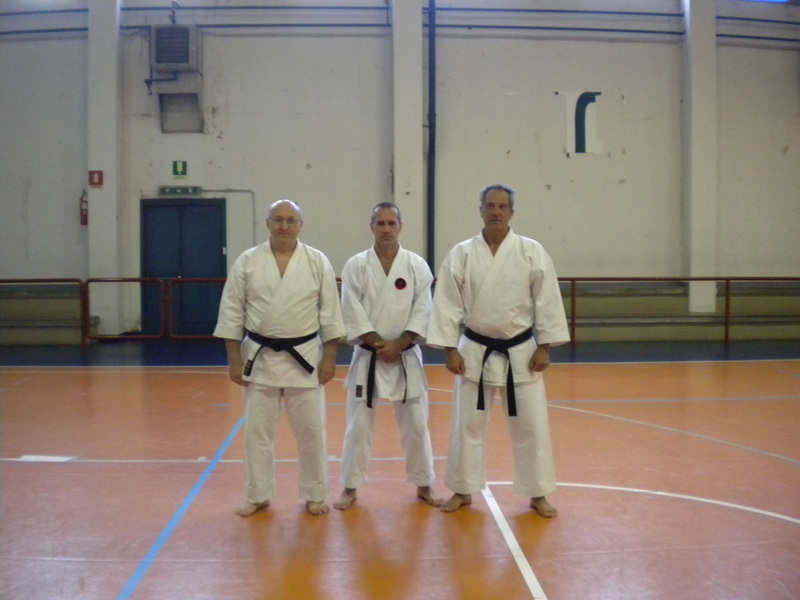 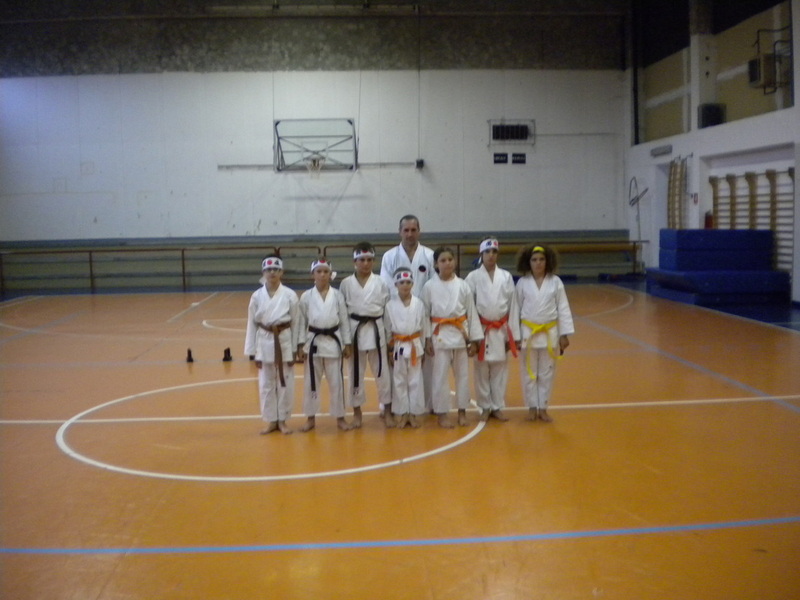 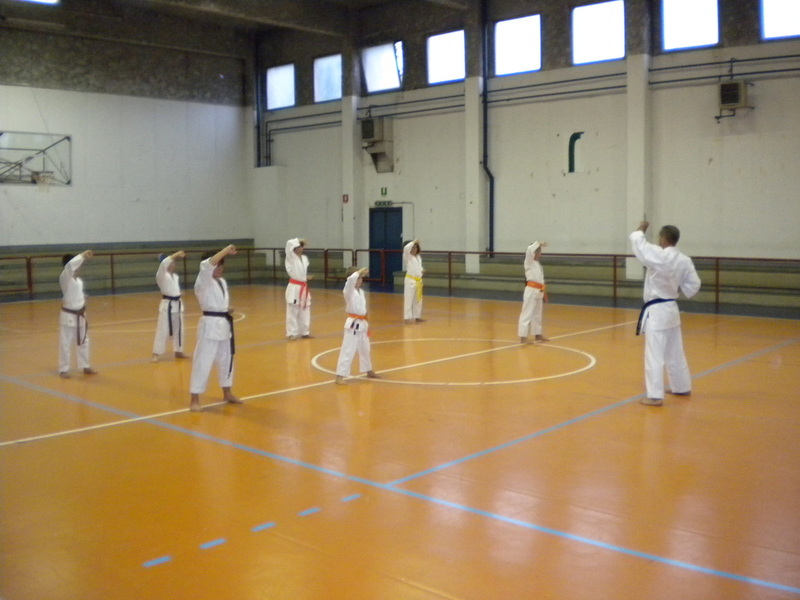 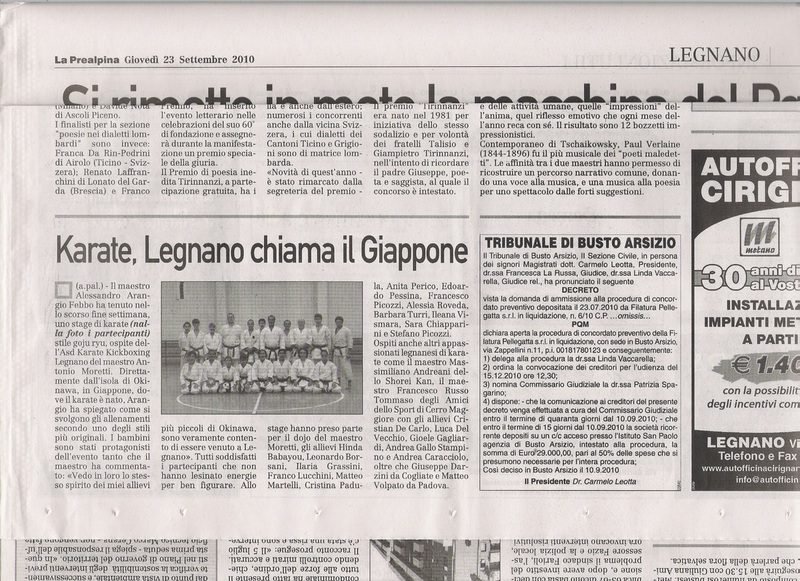 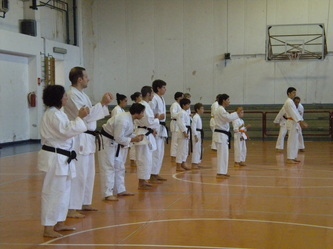 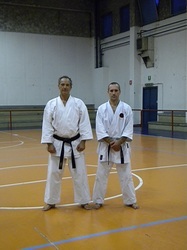 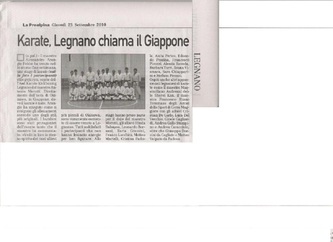 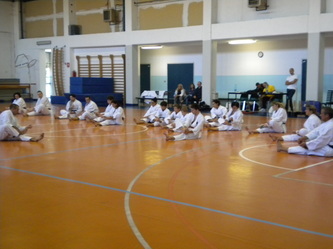 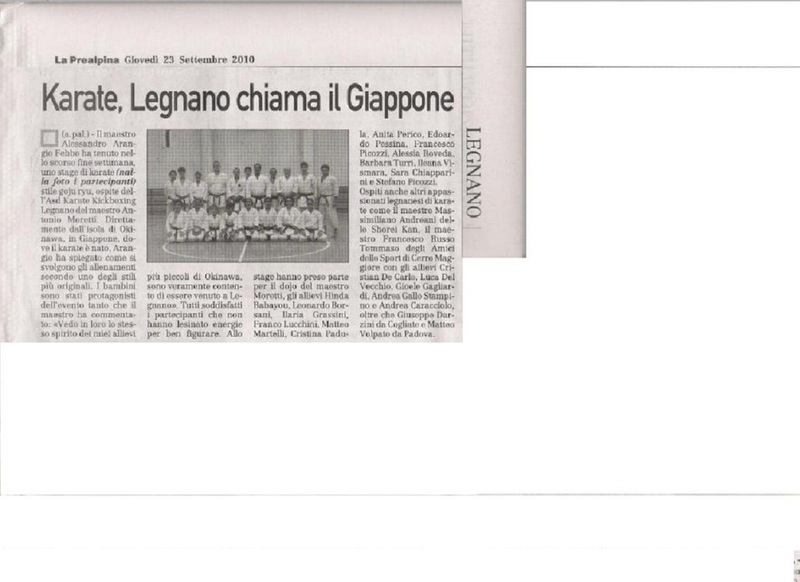 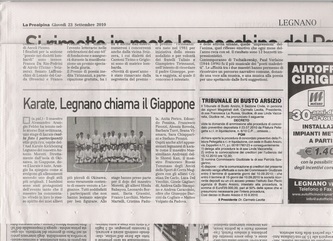 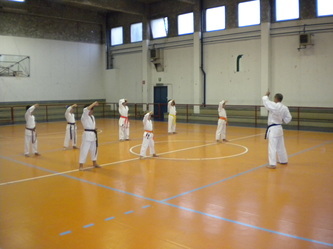 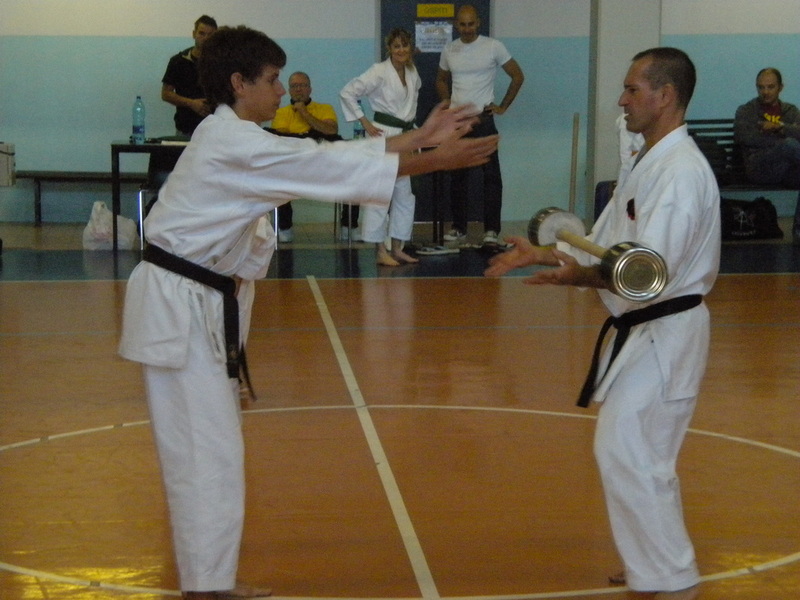 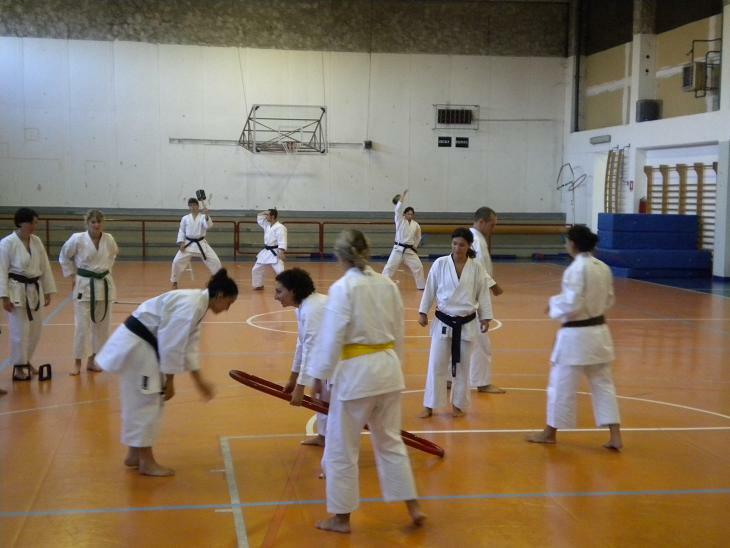 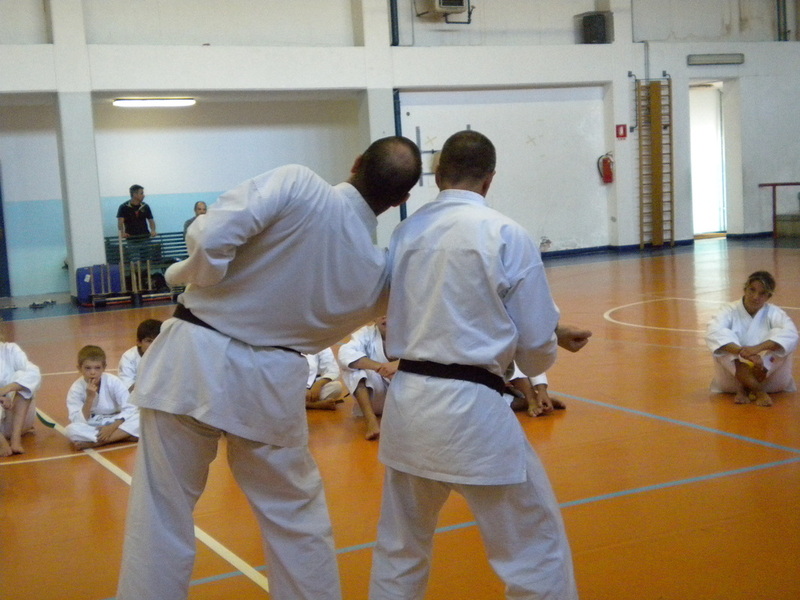 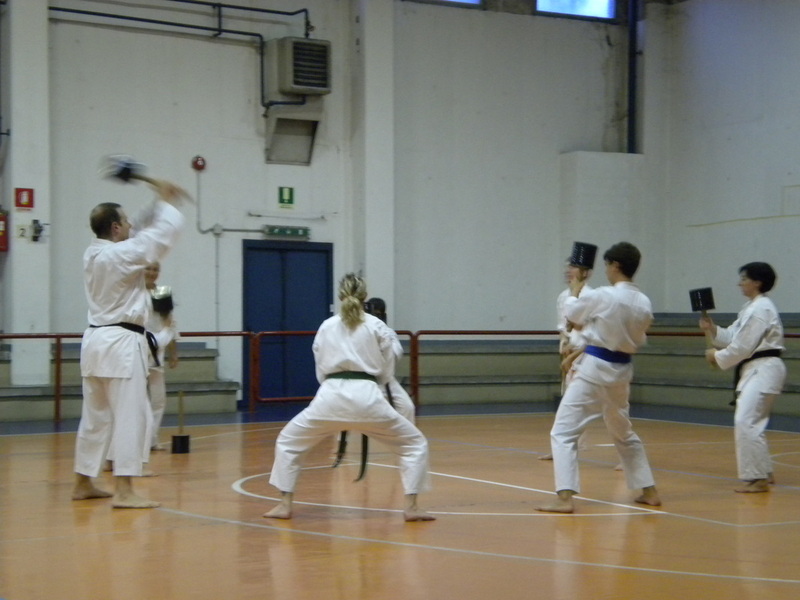 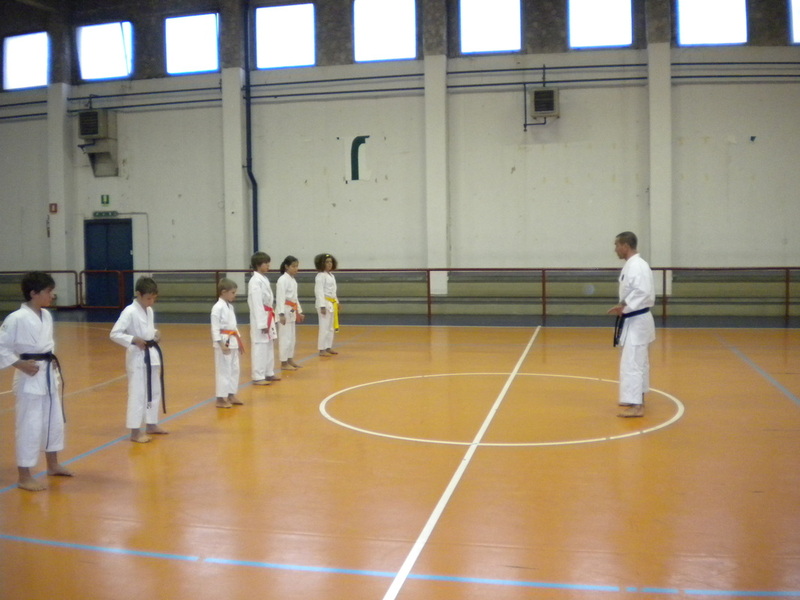 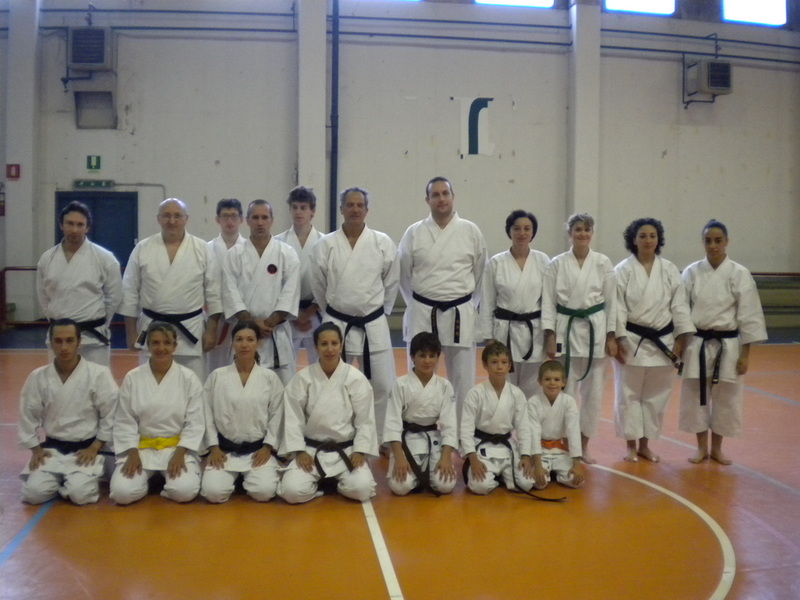 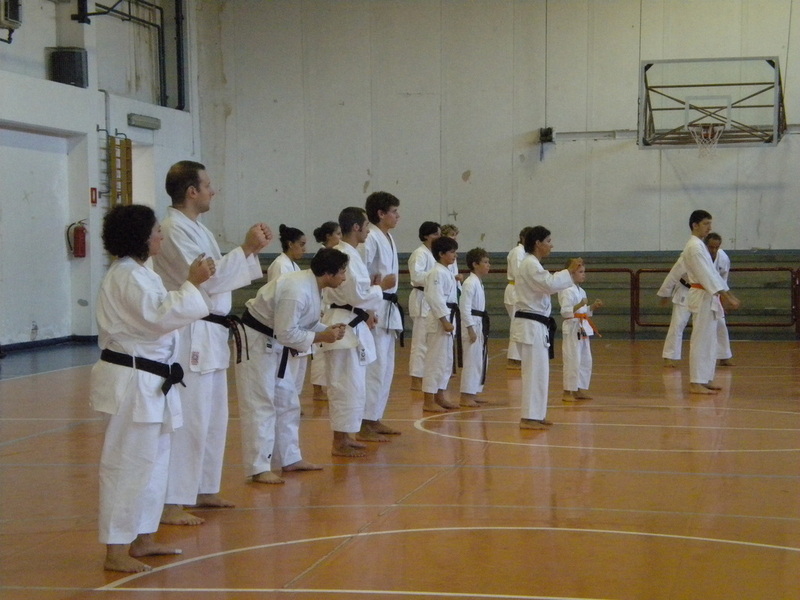 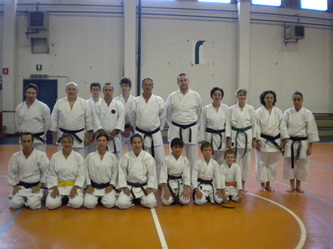 At the Legnano 2 day seminar, I taught the children Kihon and the first kata (Gekisai dai ichi), and the adults Shisochin kata. 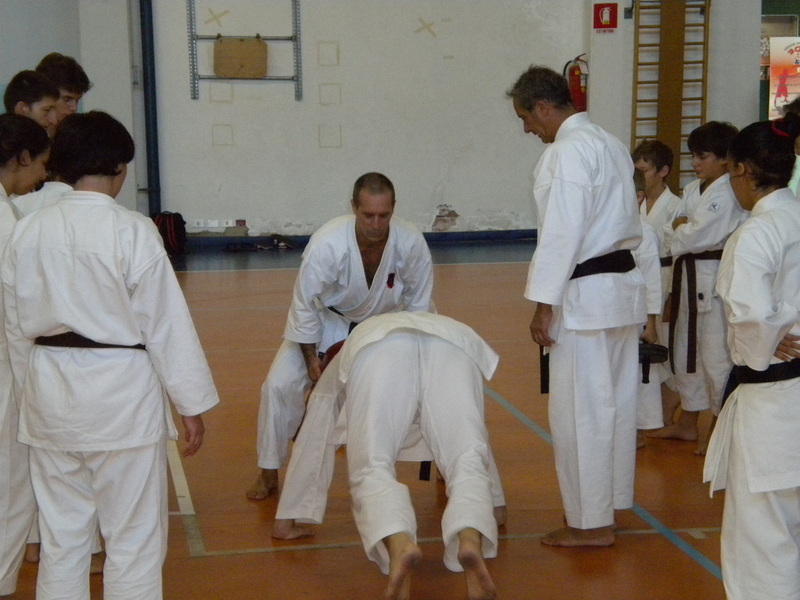 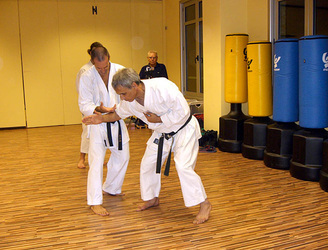 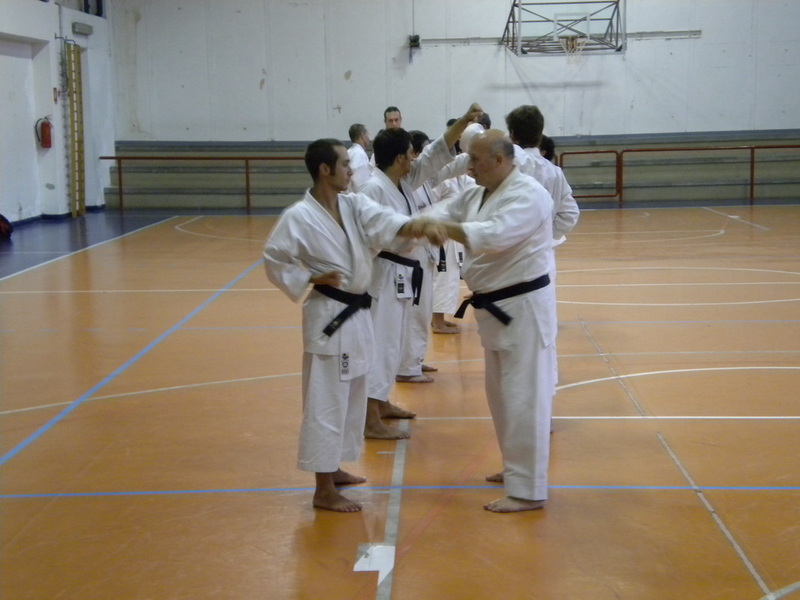 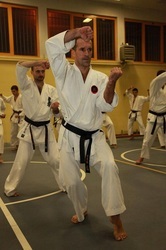 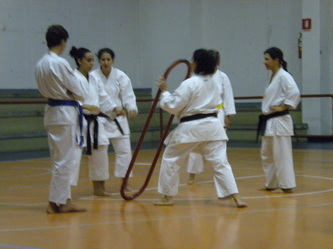 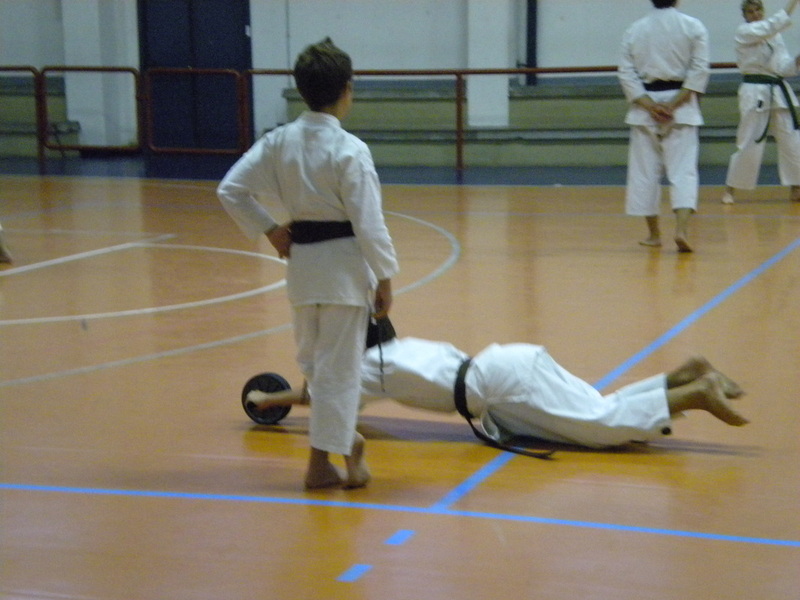 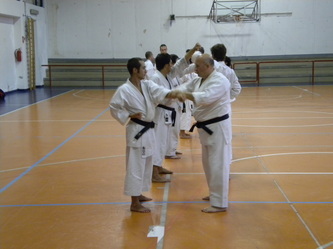 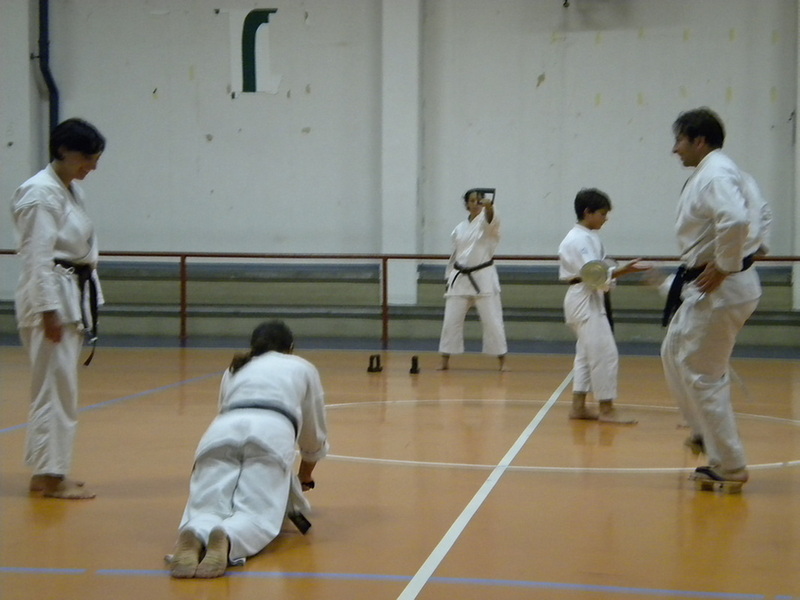 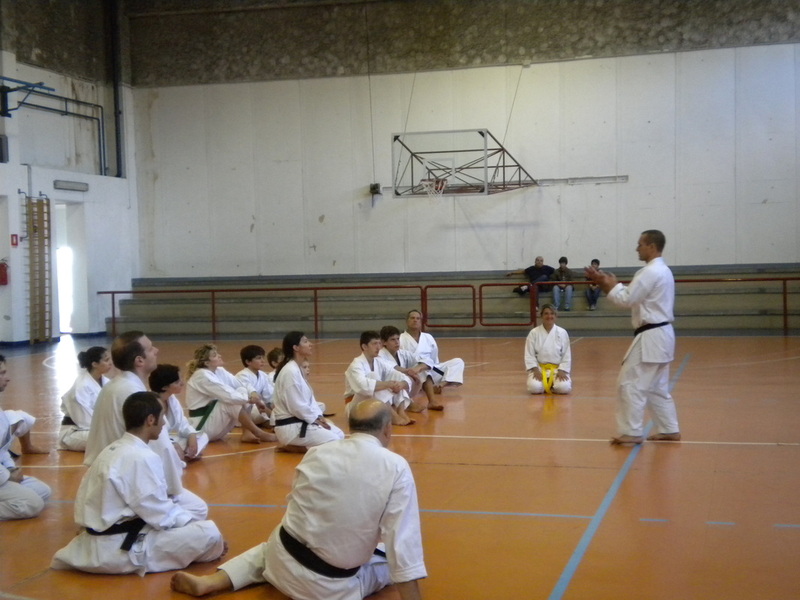 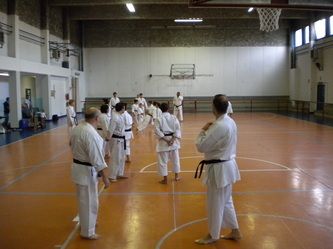 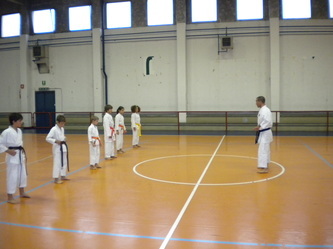 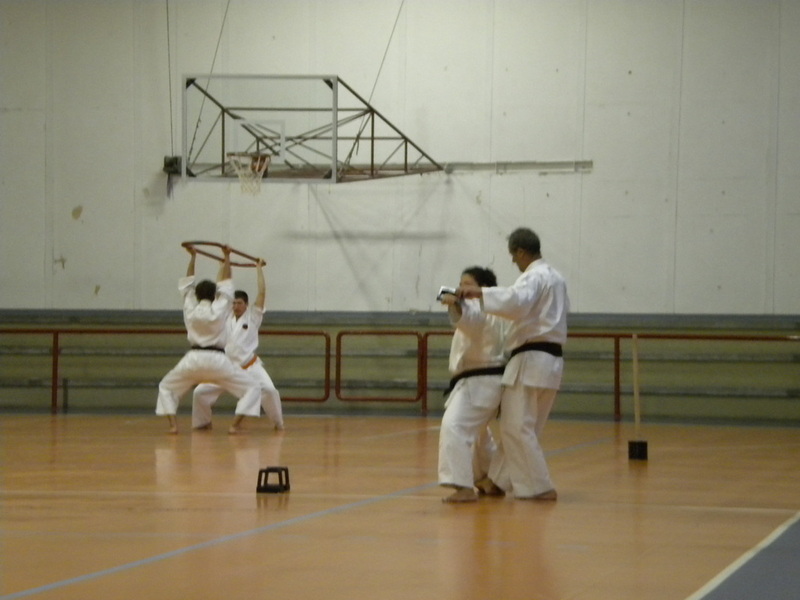 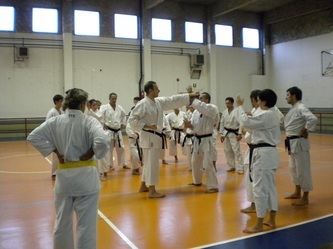 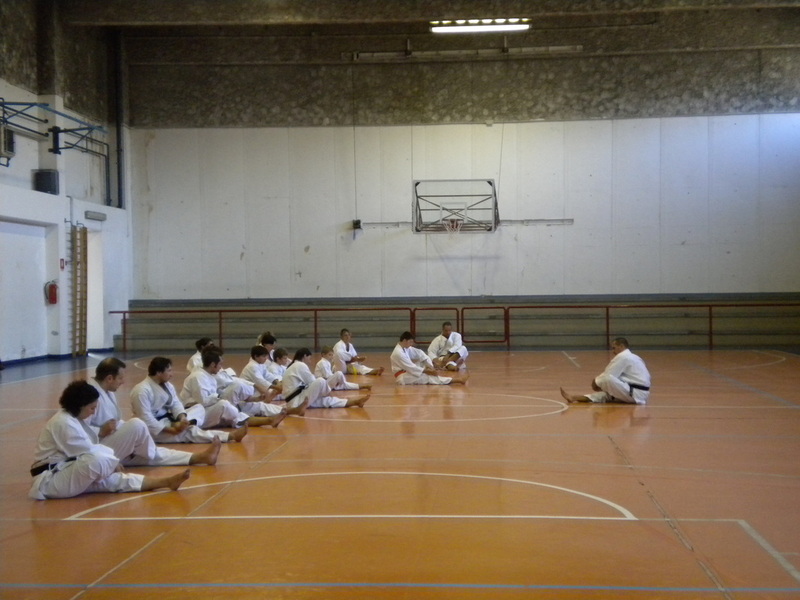 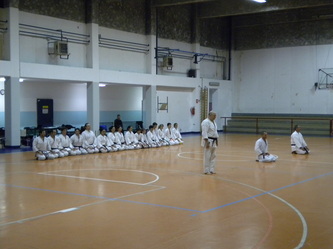 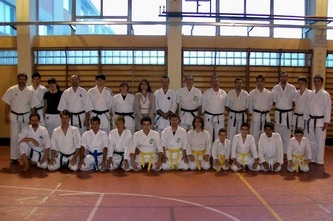 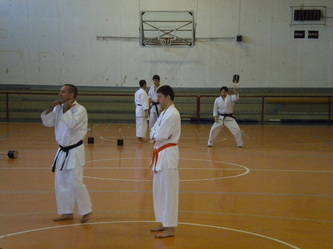 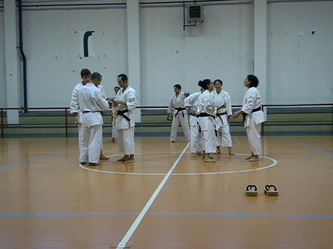 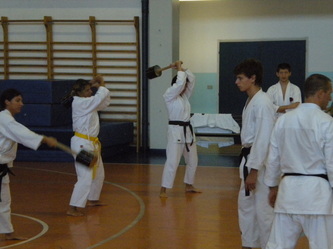 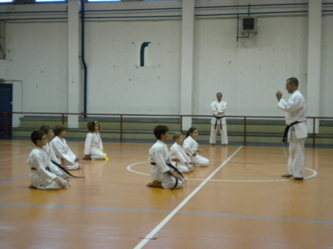 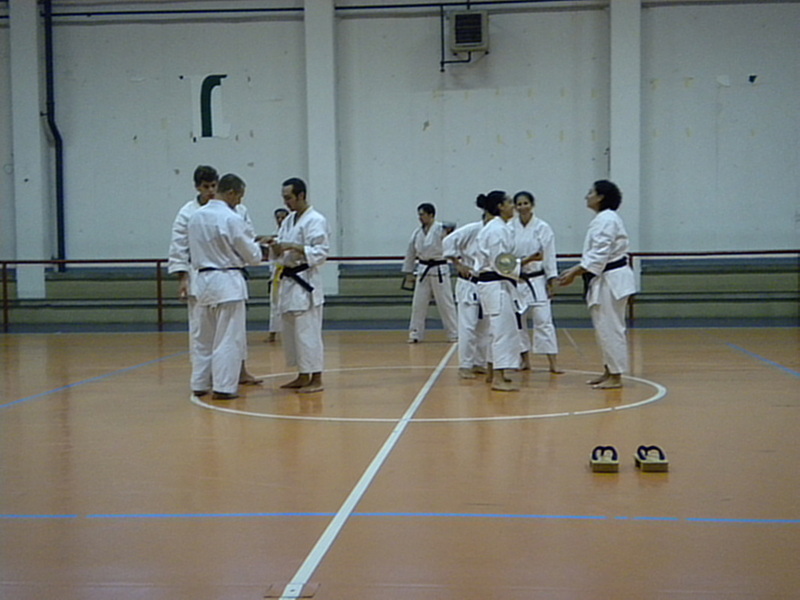 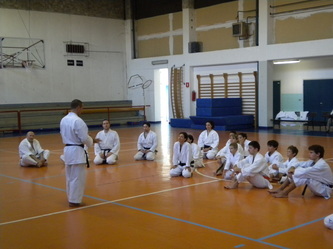 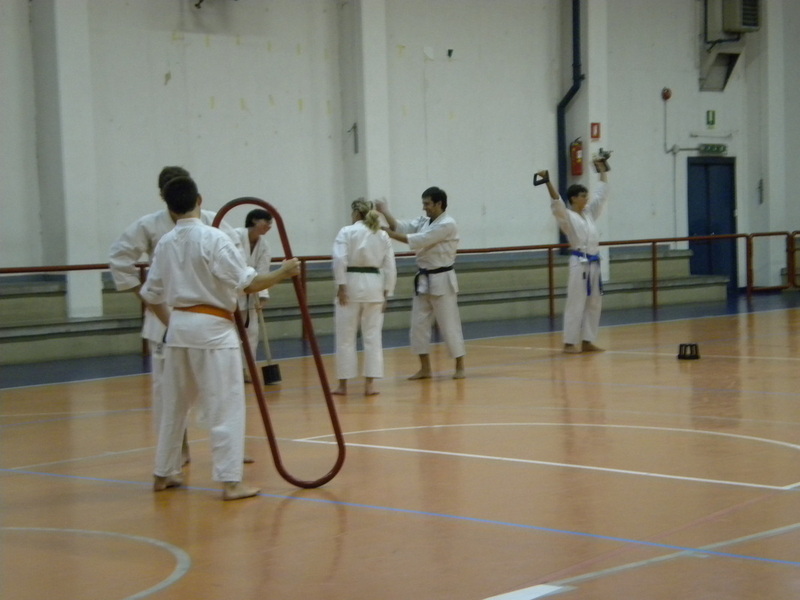 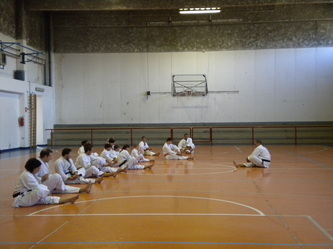 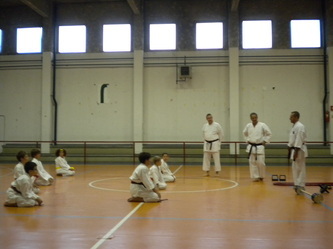 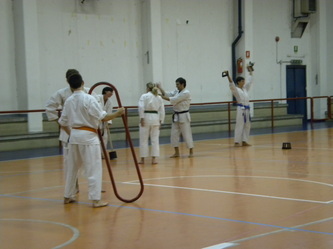 At Seregno the main topic requested was Seipai kata, including some applications. The enthusiasm at all seminars was really great and hope to have created a good foundation for future seminars. My most sincere congratulations to all participants for their efforts and I thank you for inviting me and the opportunity to give you a better appreciation of Okinawan karate.